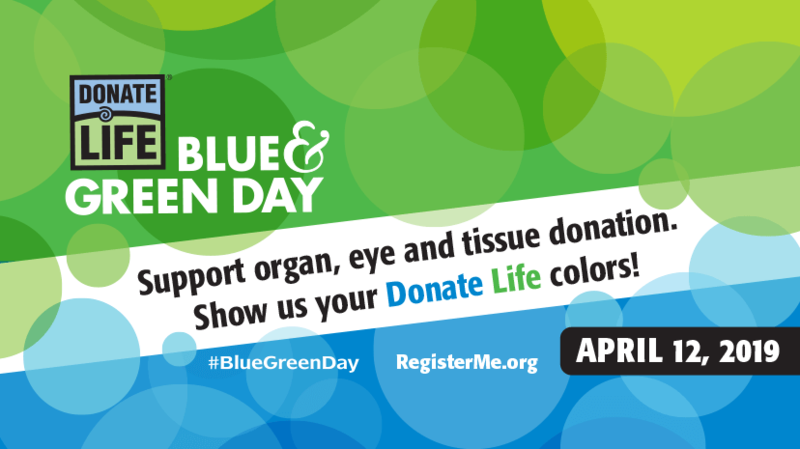 During Blue and Green Day, the public is encouraged to wear blue and green, hold events and fundraisers, and partner with local restaurants, malls, media, and community organizations in an effort to promote the success of organ, eye and tissue transplantation and the extreme need for registered donors. National Blue & Green Day 2019 is Friday, April 12th! Below are some free downloadable resources to help you get started. 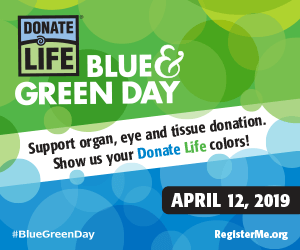 You can also refer to the National Donate Life Month page for more information. 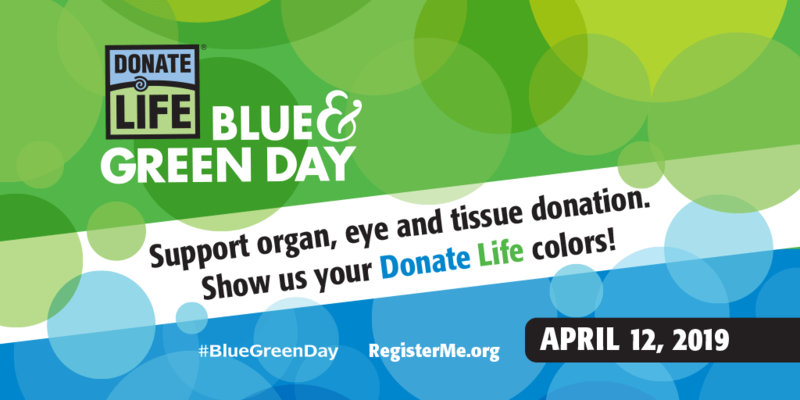 National Blue and Green Day is part of Donate Life America’s Donate Life Month—celebrated in April each year, Donate Life Month features an entire month of local, regional and national activities to help encourage Americans to register as organ, eye and tissue donors and to celebrate those that have saved lives through the gift of donation. For the 2019 National Donate Life Month theme, Donate Life America was inspired by bicycles and the phrase “Life is a beautiful ride.” Like the donation and transplantation journey, a bicycle serves as a symbol of progress, renewal and the moving circle of life. 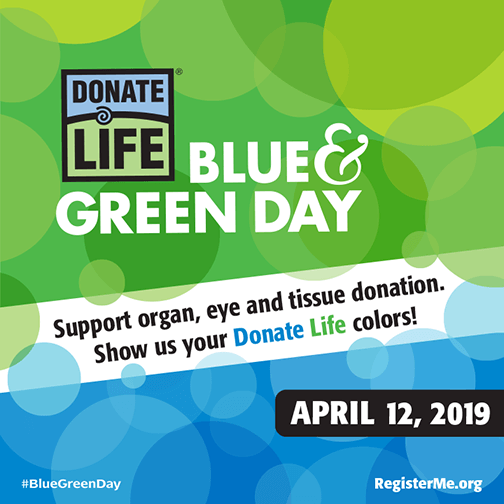 Learn more about National Donate Life Month, other National Observance days and organ donation awareness celebrations, and more things you can do to support Donate Life America. 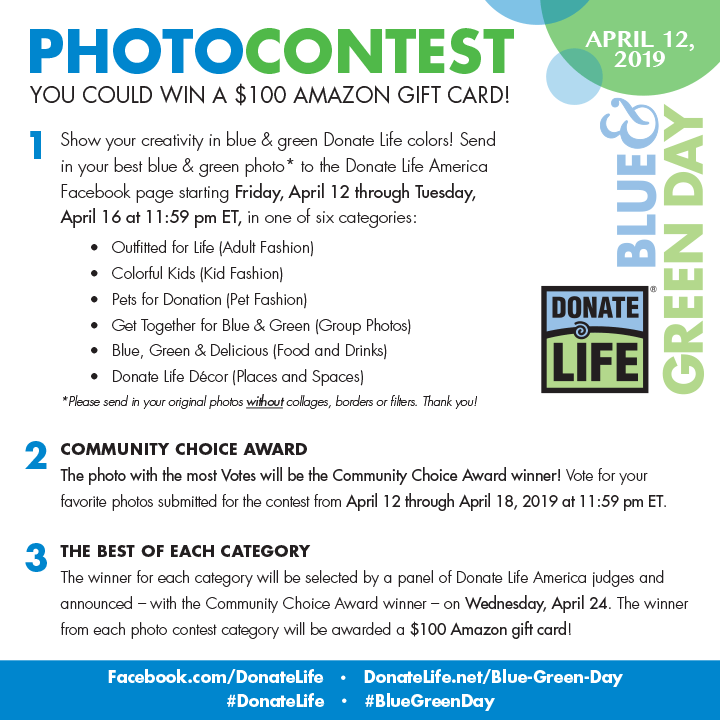 See the 2018 Blue and Green Day Winners on our Facebook page!